Visit Sitcoms Online for the latest sitcom news, message boards, photos, links, theme songs, and more! LOS ANGELES , CA � The six-time Emmy-nominated* McHales Navy launches on DVD for the very first time as Shout! Factory releases the classic sitcom from television�s golden age as a five-disc, restored and re-mastered collector�s set on March 20, 2007. To create a sea-worthy box set of the beloved series, DVD producers reunited the unsinkable crew of the P.T. 73, including Oscar-winner Ernest Borgnine** (Marty, The Dirty Dozen) and four-time Emmy-winner Tim Conway*** (�The Carol Burnett Show�), along with fellow crew members Carl Ballantine, Edson Stroll and Bob Hastings, for a first-ever cast reunion in December 2006 with footage from the event included as an exclusive DVD featurette. 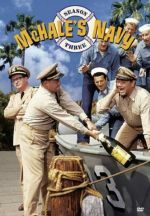 Originally aired in 1962 on the ABC network and part of the Universal Television catalog, the outstanding first season of McHale�s Navy boasted writing from the likes of Joseph Heller (Catch 22) and garnered three Emmy nominations, including �Best Comedy� and acting nods for the leads, Borgnine and Conway. Now the original 36 episodes of this award-nominated maiden voyage can be relived on DVD for the suggested list price of $44.98. By arrangement with the U.S. Navy�s international distributor, EURPAC, Shout! Factory has also created a specially-packaged edition of McHale�s Navy exclusively for Naval bases worldwide. 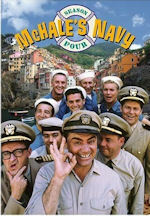 From 1962 to 1966, McHale�s Navy was ABC�s must-see comedy series with an amazing cast including Academy Award� winner Ernest Borgnine (Lt. Cmndr McHale), comic genius Tim Conway (Ensign Parker), and the one-of-a-kind comic talent of Joe Flynn (Captain Binghamton). Veteran seaman Quinton McHale is commissioned into the Navy Reserve at the start of WWII. 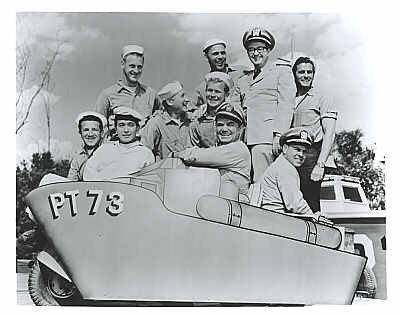 He becomes Skipper of the Torpedo Patrol (PT) Boat #73 stationed on the island of Taratupa in the Pacific. With a lovable crew of six good-hearted swabbies, McHale and his men are constant irritants to their base commander, Captain Wallace B. Binghamton. Binghamton is forever trying to find a way to get rid of McHale and his rule-bending crew and McHale & Co. are forever scheming to keep him from succeeding. Despite their hilarious party-boy shenanigans and utter disregard for Navy regulations, when duty calls the crew of PT 73 does its job�and does it well. With its talented stars, great writing and a solid supporting cast, including Gavin McLeod of �Love Boat� fame, McHale�s Navy is classic television at its finest � and funniest. Guest stars include Oscar winner George Kennedy (Cool Hand Luke), Ted Knight (�Mary Tyler Moore�), Bob Hastings (�All In The Family,� �Ironside�) and Oscar-nominated Asian-American actor Mako (The Sand Pebbles, Pearl Harbor ). Lt. Cdr. Quinton McHale, Ensign Parker, Captain Binghamton and the rest of the scheming crew of PT-73 are back for another tour of duty on the Pacific island Taratupa! 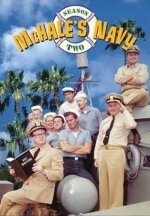 Starring Oscar� winner Ernest Borgnine (Marty, The Dirty Dozen), four-time Emmy� winner Tim Conway ("The Carol Burnett Show") and Joe Flynn, the complete Second Season of the six-time Emmy�-nominated McHale's Navy, one of the most beloved classic sitcoms from television's golden age, comes to DVD for the first time on September 11, 2007 from Shout! Factory. Bonus features include the newly recorded remarks from Ernest Borgnine and Tim Conway, wherein the two legendary icons reflect on their roles in this classic TV series that helped define a generation of situation comedy, and a look back at the real-life military careers that inspired the characters of Lt. Cdr. Quinton McHale and Ensign Charles Parker. Season Two also features guest star George Kennedy in a recurring role. The collectible McHale's Navy: Season Two five-disc DVD box set is priced for everyone to own at $44.99. From 1962 through 1966, McHale's Navy was a must-see staple of television. By its second year on the air, the now-familiar crew were firmly ingrained in the American culture as a gang of fun-loving guys, constantly at odds with authority. 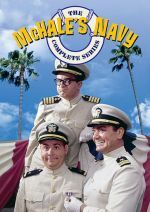 With talented stars, great writing and a solid supporting cast, including Gavin McLeod (Mary Tyler Moore Show, The Love Boat), McHale's Navy is classic television at its finest and funniest. 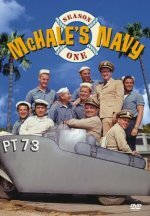 McHales's Navy is part of the Universal Television Catalog. eBay is The World's Online Marketplace. Buy and Sell items in thousands of categories. Register your free eBay user account and start bidding within minutes! The U.S. Navy was never like this Lt. Commander Quinton McHale was the commander of a World War II P.T. boat with one of the strangest, most outrageous crews ever assembled. The program was in many respects a copy of Phil Silvers' classic Sgt. Bilko show, its broad humor built on the conflict between the easygoing, regulation-ignoring, con-artist McHale and his long-suffering superior, Capt. Binghamton (known behind his back as "Old Lead Bottom"). The men loved McHale, Binghamton hated him, and the navy put up with him because, in the South Seas where P.T. 73 was based at the island of Taratupa, McHale knew the territory "like the back of is hand." At the start of McHale's Navy's last season, the entire crew, including Capt. Binghamton, was transferred to Italy, where they helped maintain the occupation of the small town of Voltafiore against the possible incursion of German troops. Not only did Binghamton still have to deal with a conniving Italian mayor, Mario Lugatto, who was almost as adept a con man as McHale himself. Nothing changed but the environment. The gambling that had run rampant in the Pacific now included local residents as well as military personnel. 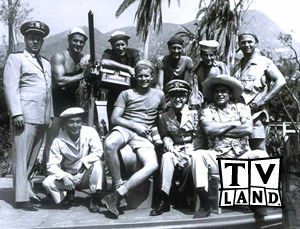 During the final season, McHale and his crew along with Captain Binghamton and Lt. Carpenter were all shipped from the Pacific theater of operations to the European Theater. Sometimes a character mentioned an unnamed commander of torpedo boat PT-109. PT-109 was the boat commanded by then-President John F. Kennedy during World War Two. The entire Pacific Ocean naval base was built on the backlot of Universal Studios. For many years after the show went off the air, the sets were used an attraction on the studio tour. McHale's nickname for Binghamton was "Old Leadbottom". McHale often referred to his men as "8 balls". AMERICA�S #1 BESTSELLING TELEVISION BOOK WITH MORE THAN HALF A MILLION COPIES IN PRINT� NOW REVISED AND UPDATED! PROGRAMS FROM ALL SEVEN COMMERCIAL BROADCAST NETWORKS, MORE THAN SIXTY CABLE NETWORKS, PLUS ALL MAJOR SYNDICATED SHOWS! This is the must-have book for TV viewers in the new millennium�the entire history of prime-time programs in one convenient volume. It�s a guide you�ll turn to again and again for information on every series ever telecast. There are entries for all the great shows, from evergreens like I Love Lucy, The Honeymooners, and Happy Days, to modern classics like Will & Grace, Buffy the Vampire Slayer, and Friends; all the gripping sci-fi series, from Captain Video and The X-Files to all versions of Star Trek; the popular serials, from Peyton Place to Dallas to Dawson�s Creek; and the runaway hits on cable, including CNN, The Real World, The Osbournes, and Sponge Bob Square Pants. This comprehensive guide lists every program alphabetically and includes a complete broadcast history, cast, and engaging plot summary� along with exciting behind-the-scenes stories about the shows and the stars. MORE THAN 500 ALL-NEW LISTINGS, from Survivor and The Bachelor to C.S.I. and The West Wing. UPDATES ON CONTINUING SHOWS, such as ER, Frasier, 7th Heaven, and The Simpsons. EXTENSIVE CABLE COVERAGE of more than 800 entries, including a description of the programming on each major cable network. BRAND-NEW IN THIS EDITION�an exclusive �Ph.D. Trivia Quiz� of two hundred questions to challenge even the most ardent TV fan; plus a streamlined guide to TV-related Web sites for all those who want to be constantly up-to-date. Theatrical feature inspired by popular TV series finds the PT-73 crew doing everything possible to try and raise money to pay off gambling debts. Usual blend of slapstick and snappy dialogue; entertaining for fans. Rather unusual comedy with little relation to either the first feature or the TV series (including no Borgnine). Ensign Parker (Conway) is mistaken for an Air Force hot-shot, and the more he screws up, the higher he's promoted! John Fenton Murray's intricate script adds some mild satire to normal quota of slapstick; a genuine curio. A fairly good, and funny, little movie that sometimes lacks pace. MCHALE'S NAVY is well-cast and acted out, but, as I said, is rather slow in too many scenes. Great when you see it the first time...second time: "Hey, let's fast-forward this to this part..." Many movies are no fun to watch over and over and over again, and this just happens to be one of them. But, Tom Arnold, Tim Curry, and David Alan Grier keep the movie somewhat interesting and entertaining. Arnold's the perfect hero...Curry's the perfect villain, and Grier's the perfect...well, maybe perfect isn't the word...he's a hoot, though! Local bootlegger, Quinton McHale gets an unwanted reunion with former rival Vladikof, the world's SECOND best terrorist. That's basically what the movie's about; their conflicts. All-in-all, fairly safe for kids over 8. More explosions than profanity. Please send any questions, comments, suggestions, sound files, pictures, or any additional information for this page. visitors since this page was established on March 4th, 2000.